Thank you to Mickaël, our new ambassador in Bretagne which has already launch several actions to support Imagine for Margo. As part of its company, Mickaël allowed the sale of honeypot to take place this year to the benefit of Imagine for Margo. 720 euros were collected. The 5th to the 9th October, that was the solidarity week in the Foundation Orange. 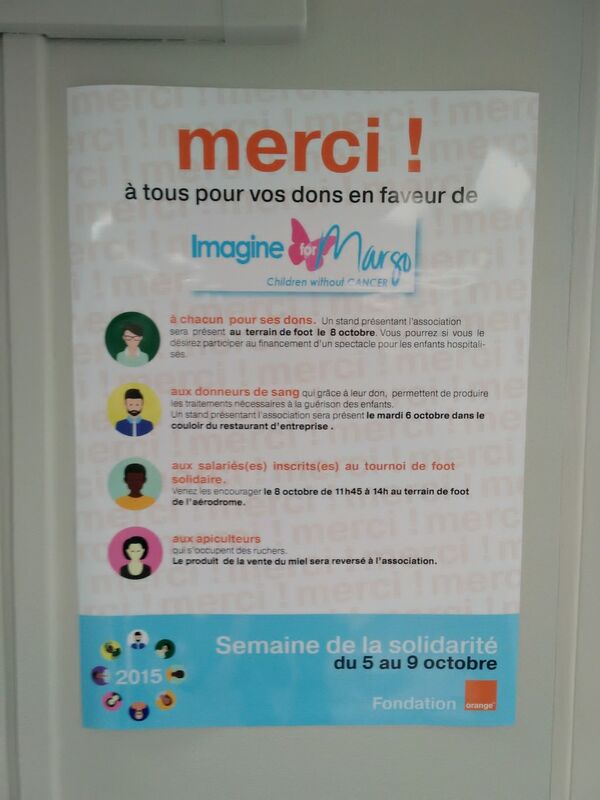 Mickaël led several actions to present Imagine for Margo to his company : during a solidarity football tournament, blood donations and from the sales of honeypots. Go, Fight, Win Mickaël !